VERICUT software simulates CNC machining so you can be more efficient, more competitive, and more profitable! 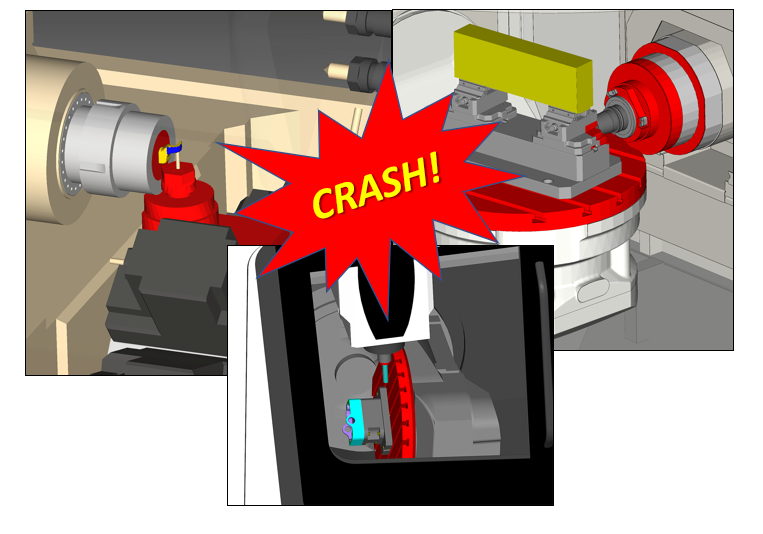 A machine crash can be very expensive, potentially ruin the machine, and delay your entire manufacturing schedule! But with VERICUT, you can dramatically reduce the chance for error and avoid wasting valuable production time proving-out new programs on the machine. 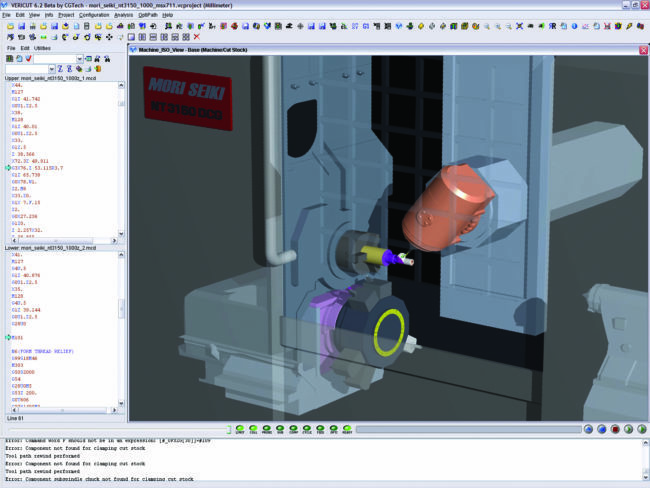 CNC Machine Simulation detects collisions and near-misses between all machine tool components such as axis slides, heads, turrets, rotary tables, spindles, tool changers, fixtures, work pieces, cutting tools, and other user-defined objects. You can set up ‘near-miss zones” around the components to check for close calls, and even detect over-travel errors. 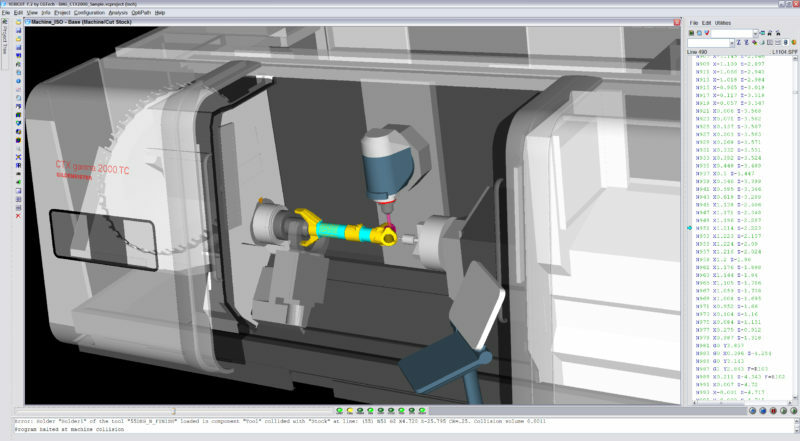 VERICUT enables you to perform realistic 3D simulation of entire CNC machines, just like they behave in the shop, with the most accurate collision-detection available. 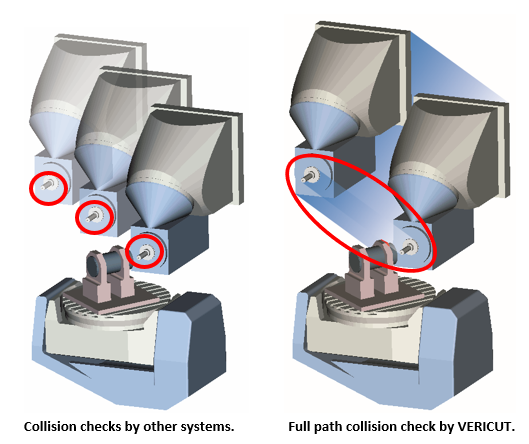 VERICUT features the most accurate collision checking available. Rather than just checking points along a path, VERICUT checks along the entire path of travel by sweeping through space. You don’t have to specify a “step size” tolerance that can slow the simulation if too small or miss the collision if too large! Example VERICUT Machine Configurations (VMCs) are included with the software. These can be used directly in VERICUT or, can be used as a starting point to configure VMC’s of your exact machines. STL and other CAD model formats can be used to represent machine components, or they can be directly modeled in VERICUT. A simple “tree” feature makes it easy to connect the pieces and create the kinematics of the machine.